Team Obama and its media water-carriers are exhibiting the very racial cowardice they once purported to condemn. Why haven’t national media outlets reported on the vile and violent rants of the New Black Panther Party (NBPP) thugs whose 2008 voter-intimidation tactics got a pass from the Obama administration? Simple: Radical black racism doesn’t fit the Hope and Change narrative. There’s no way to shoehorn Bush-bashing into the story. And, let’s face it, exposing the inflammatory rhetoric of the Left does nothing to help liberal editors and reporters fulfill their true calling — embarrassing the Right. #ad#These NBPP death threats and white-bashing diatribes are nothing new to those who have tracked the black-supremacy movement. In August 2009, nearly a year ago, I reported on a sign on display outside NBPP defendant (and elected member of Philadelphia’s 14th Ward Democratic Committee) Jerry Jackson’s home. It reads: “COLORED ONLY: No Whites Allowed.” In July 2009, I interviewed poll watcher/witness Christopher Hill, whom Shabazz and Jackson called “cracker” several times while Shabazz brandished his baton. “They physically attempted to block me,” Hill recounted. He also saw a group of elderly ladies walk away from the polling site without voting while the duo preened in front of the entrance. “If you’re a poll watcher, you shouldn’t be dressed in paramilitary garb,” Hill said, as he wondered aloud at what would have happened if he had shown up in the same sort of costume. #page#That’s rich, given that the only racists talking about slaughtering babies are the ones with New Black Panther Party patches on their puffed chests. If a tea-party activist threatened to kill the babies of his political opponents, it wouldn’t just be front-page news. It would be the subject of Democrat-led congressional investigations, a series of terrified New York Times columns about the perilous “climate of hate,” a Justice Department probe by Attorney General Eric Holder, a domestic terror alert from Homeland Security Secretary Janet Napolitano, and another Important Teachable Moment Speech/Summit from Healer-in-Chief Barack Obama. #ad#But with the racism shoe on the other foot, Team Obama and its media water-carriers are exhibiting the very racial cowardice Holder once purported to condemn. Thanks to Obama’s feckless Department of Injustice, these black-supremacist brutes are free to show up on the next national Election Day at polling places in full paramilitary regalia with nightsticks, hurling racist, anti-American epithets at those exercising their right to vote and at those protecting the integrity of the electoral process. The reaction of our national media watchdogs: Shhhhhhhh. 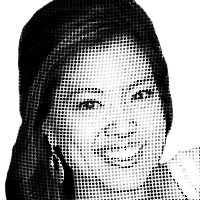 – Michelle Malkin is the author of Culture of Corruption: Obama and His Team of Tax Cheats, Crooks & Cronies (Regnery 2010). © 2010 Creators Syndicate, Inc.